The beFree Sound Bluetooth Portable Speaker comes with everything you need to enjoy a wide-range of sound right out of the box! Use the built-in Bluetooth technology to connect your favorite audio devices - like your iPhone, Smartphone, Tablet, MP3 Player, PC, etc. Instantly connect and stream music. 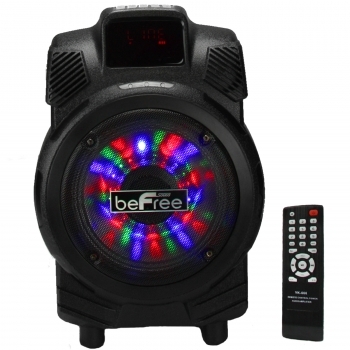 Turning up the volume will illuminate your beFree Sound Speaker with vivid continuously moving lights that will add a true spark to any event!